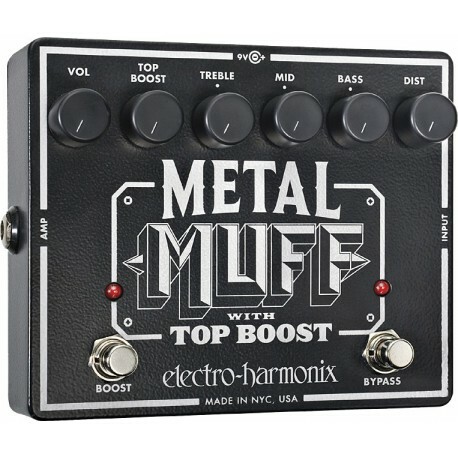 Ultimate metal distortion pedal. Three powerful EQ bands sculpt the mids and 6 controls shape the sound precisely for your groove from slithering mercury to lead belly blast furnace dross. 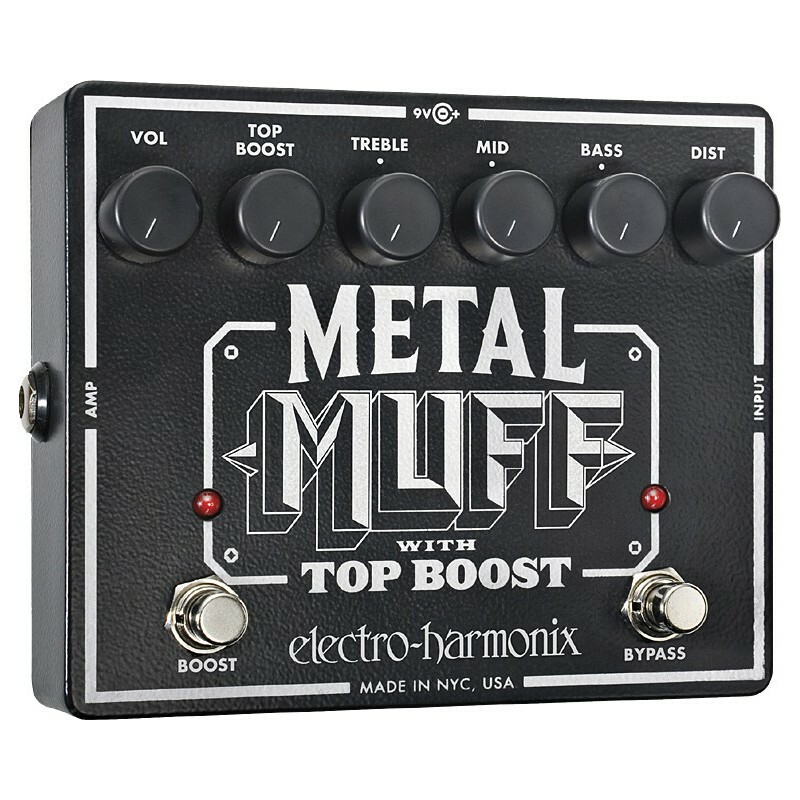 Its unique Top Boost adds serious bite with its own control knob and footswitch so you can kick it on for searing leads.